Parents always want what is best for their children and can tell when there is something wrong, if you feel that your son is suffering from depression, than treatment centers for troubled teens in California can provide your son the help he needs. Liahona Academy is a residential treatment center that provides help for troubled teens. Call today at 800-675-8101 for more information. Depression is a mental disorder that affects millions of people in America, and teenagers can be affected by this disorder as well. 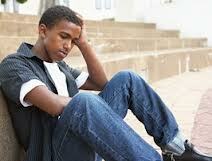 When teen boys suffer from depression they usually do not know what to do. Through treatment your son will be able to learn more about depression and gain the skills and tools to overcome the depression and live a happy life. Parents, below you will find some warning signs that your son is suffering from depression. Changes in mood, becoming isolated, withdrawn, hostile, or changes in sleep patterns. Lack of interest in activities or hobbies. Becoming defiant and not listening to authority figures. Change in school performance and attendance. Low self-esteem or self inflicting harm. Other signs that your son is not happy. If you feel that your son is exhibiting any of the above signs, or if his normal behavior has changed, please call Liahona Academy today for more information on how the professional staff can provide your son with the help he needs, contact them at 800-675-8101. Liahona Academy is an all boys in-patient treatment center where troubled boys can find the recovery that they need. Through traditional therapy, such as individual, group and family systems therapy as well as recreational hands-on therapy, your son will be able to learn more about his depression. In addition to therapy your son will also participate in the unsurpassed academics program that is focused on grade repair and credit recovery. We highly recommend Liahona Academy to troubled teens in California seeking help and treatment for depression. We are confident that the staff at Liahona Academy can help your son gain a new perspective on life. Call today at 800-675-8101, the road to recovery starts with a phone call.